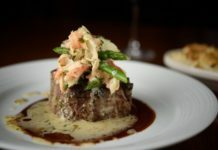 SMALL BITE: River Ranch Lodge & Restaurant is the perfect place to stop for a great meal on your winding mountain climb up to Lake Tahoe. 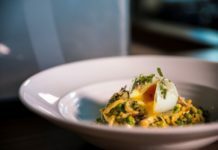 You’ll be treated to a double whammy: delicious, farm-fresh food in the beautiful, wooded setting of Tahoe National Forest. 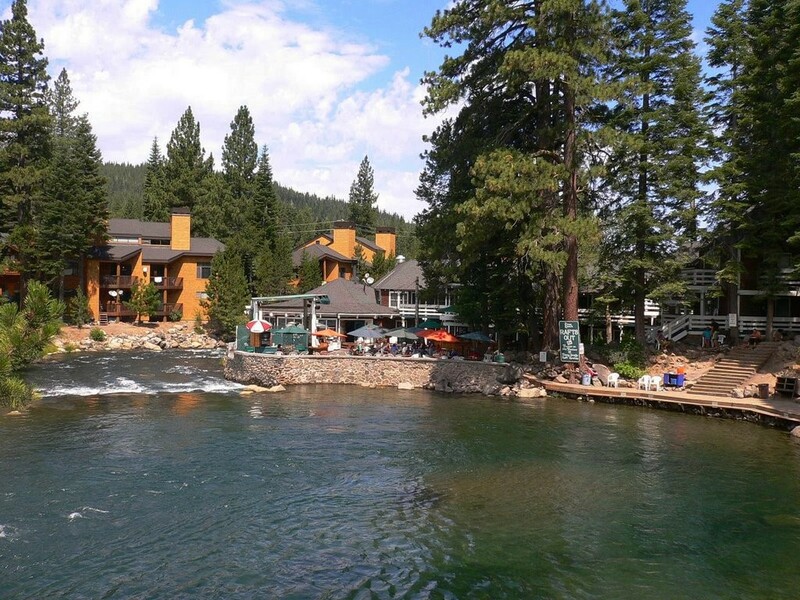 Sit so close to the Truckee River, the salmon will practically jump onto your plate. SIGNATURE DISH: Cervena Elk, juniper-crusted with celery-root puree, braised red cabbage and cranberry-port pan sauce. 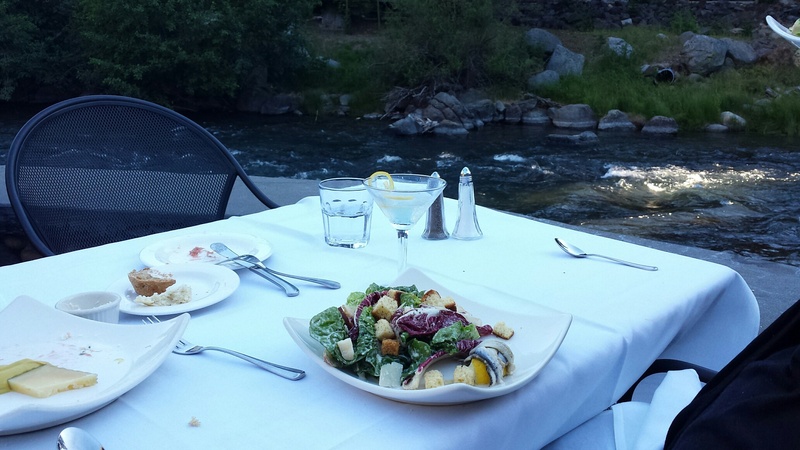 FOOD FOR THOUGHT: Choose a table outside on the patio, right next to the rushing Truckee River. You sit so close you can feel the spray from the river. If it’s too chilly outdoors, there is cozy seating inside with a large fireplace. Dinner: Served year-round starting at 5:30 p.m.
Café Bar Menu: Available starting at 3:30 p.m.
ABOUT RIVER RANCH LODGE & RESTAURANT: A landmark in the Lake Tahoe area for more than 35 years, the lodge offers 19 rustic guest rooms–many which overlook the crisp, clean waters of the Truckee River. 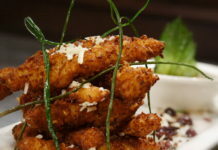 The restaurant offers fine California cuisine in a cozy dining room and in a more relaxed setting on the patio. Perfect place to gather in the winter after a day on the slopes; and in the summer, it’s the end point for river rafters, who gather on the patio for a BBQ lunch. The River Ranch has hosted many live music events and weddings. 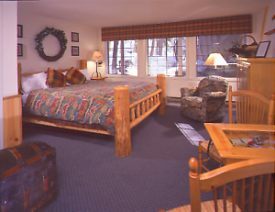 A bit of history: During the 1960 Olympic Games at nearby Squaw Valley, foreign diplomats used the Lodge as their headquarters.